"May your Easter basket be full of joy, happiness and peace today & always." I really love the number 2 sweat! So sweet and simple. It's a must have! Awww the origami is so cute ! I took a origami class a few months ago and it was a lot more difficult than expected! Thank u for ur comment! Of course let's flw each other! 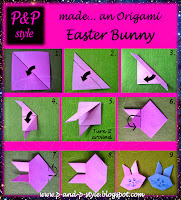 i want to make the bunny origami! look so cute. thanks for the post! Bunny Satchel is unique. It seems like alien from another planet :). I like the monochrome Bunny Sweater. Thank you for your comment! I follow you now on GFC and Bloglovin! I follow you on GFC #394 and bloglovin, follow you me back? thank you for beautiful comment :) your blog amazing! I follow you, please visit my blog again:) Have a nice day! i follow your blog, could you follow me back? i'm following your Gfc now #407. i hope you can follow me back..
Oh how cool is that easter bunny! 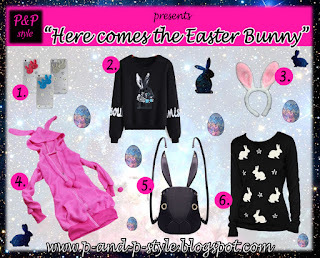 What a cute wishlist! Thank you for sharing! That satchel and headband are so cute! pretty pictures ! thanks for stopping by my blog! Happy Monday!